The iMac's processor has been upgraded and now houses a 9th-gen 3.6 GHz Intel Core i9 Eight-Core processor that can be overclocked up to 5.0 GHz, as well as 16GB of 2666 MHz DDR4 RAM that can be upgraded to 64GB by using a 16GB module in each of the four SO-DIMM slots. Visuals are powered by a dedicated AMD Radeon Pro Vega 48 graphics card with 8GB of HBM2 video memory, and for storage, there is a 3TB Fusion Drive. 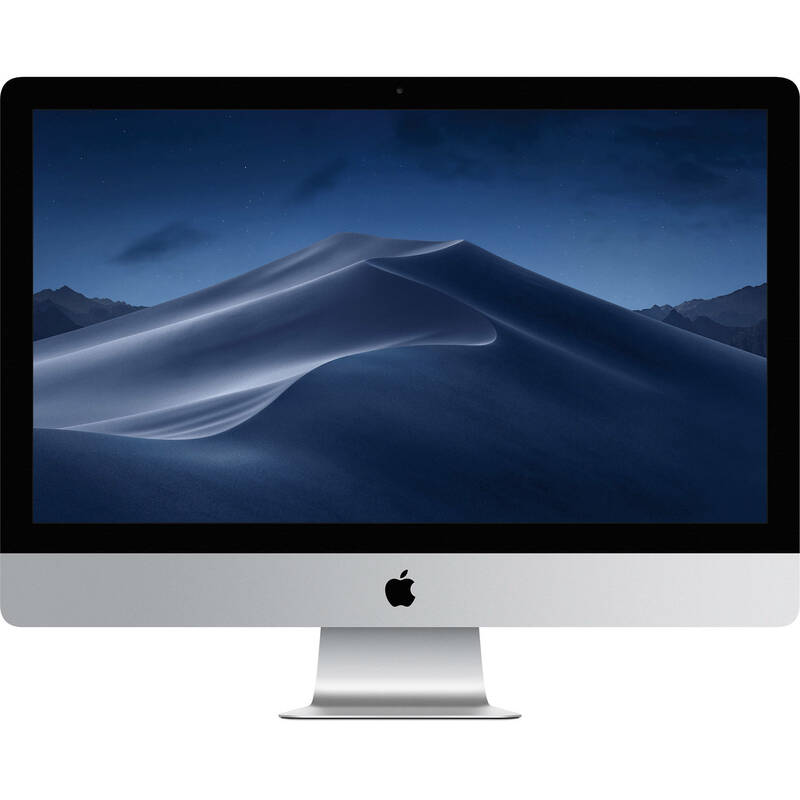 Apple's 27" iMac with Retina 5K Display (Early 2019) operates using 100-240 VAC at 50-60 Hz and includes an Apple Magic Keyboard with Numeric Keypad, an Apple Magic Mouse 2, a Lightning to USB Type-A cable, and a power cord. Protection is provided by 90 days of complimentary technical support and a limited 1-year warranty, which can be extended by purchasing AppleCare+ for Mac. This iMac is equipped with a 9th-gen 3.6 GHz Intel Core i9 Eight-Core processor and an AMD Radeon Pro Vega 48 graphics card with 8GB of HBM2 video memory. Storage moves along quickly too, with a 3TB Fusion Drive, so no matter what you're into, you can get it done on your Mac. This iMac features robust AMD Radeon Pro Vega 48 graphics with 8GB of HBM2 video memory to deliver visual effects and 3D graphics that exhibit raw power in a polished form. Magic Mouse 2 and Magic Keyboard with Numeric Keypad pair with iMac and come included in the box. If you're looking for extra functionality, Magic Trackpad 2 is sold separately and offers some additional options.